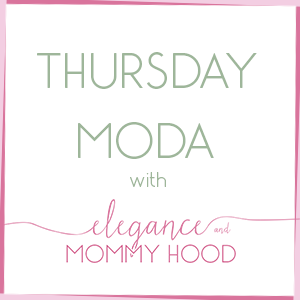 Flashback Friday: Dresses and Skirts Styled for Easter. 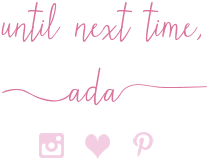 Today, I thought I'd look back at some outfits - featuring dresses and skirts - from the first few years of me blogging, that I have worn in the Spring-time of that particular year. I am recapping these past looks that I selected today specifically as in my opinion all of these would make great options as Easter Outfits. Some of these I have actually worn for Easter. Floral Dresses, Little White Dresses, a Dressy Skirt Look, a Classic Shirtdress or even a Little Black Dress would make great options for Easter from church to lunch. Before we get to the outfits, let me tell you that I hate all of my photos from 2012 to 2014 (bad quality and bad cluster/unclean background as far as where I took them). Also, looking back I have so many bad, ugly and un-favorite looks from 2012 to 2015 that I can pinpoint now. But not the outfits below. I actually like these. 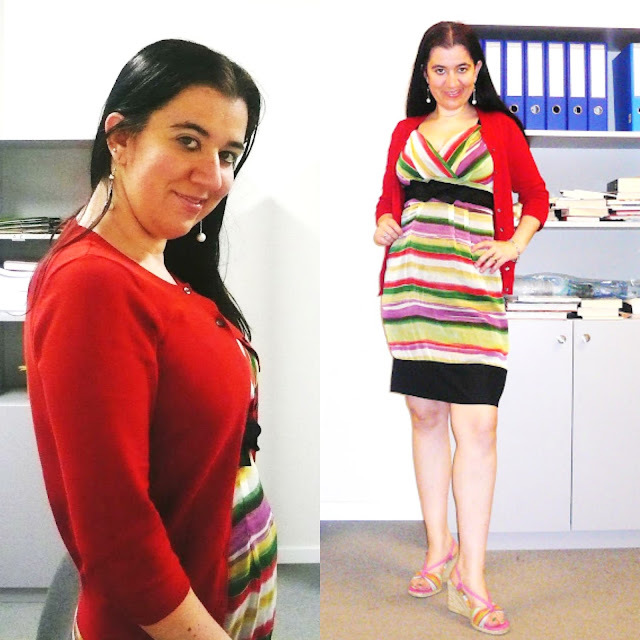 I was working at an office in Tirana, Albania and that was the Spring I got pregnant with Vivian also. You may even notice a slight very early bump in that Rainbow-Striped Dress. I remember Spring came early and it was a hot one, right away. I also wore a lot of Dresses that Spring. I actually wore all of the following outfits to work. Dress and Cardigan by The Limited. 2013 was the year I became a mom and stayed home with Vivian the entire year. My outfits in general were very very casual with a few exceptions. 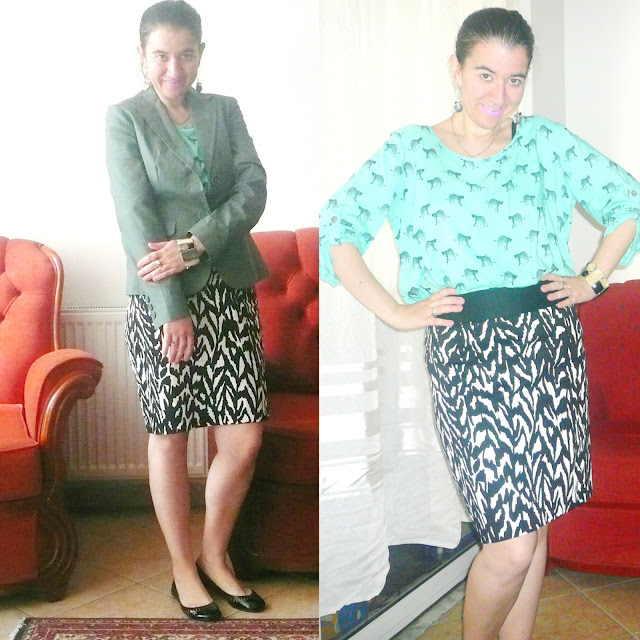 Sometimes I felt like dressing up, like the two outfits below featuring skirts. I know we associate Easter with dresses, but skirts can be just as awesome! I love these looks and would wear them both, today. Polka-Dotted Pencil Skirt and Button-Down Shirt both by Banana Republic. Vivian was around 3 months old. 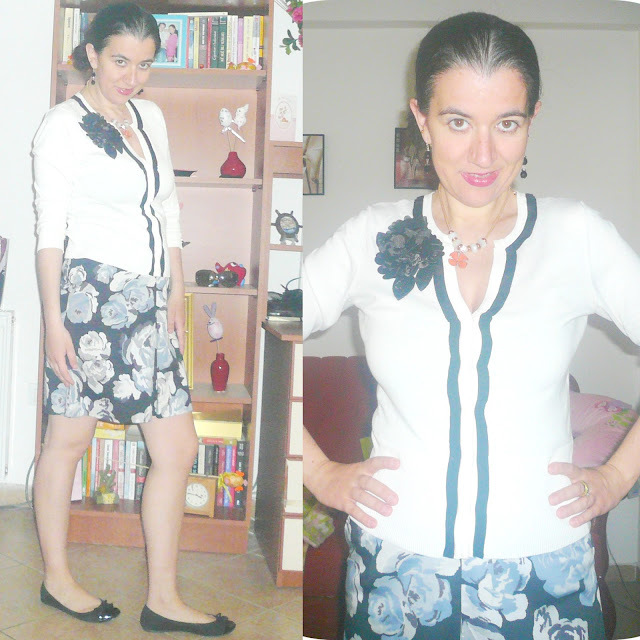 Grey Rose Mini Skirt by The Limited and White+Black Cardigan by White House Black Market. I started back work in 2014 but not until late Spring/Summer. I didn't really have a dress code either so I could wear jeans, slacks, dresses, you name it. Since Vivian was older and had started walking, I started dressing up a bit more. 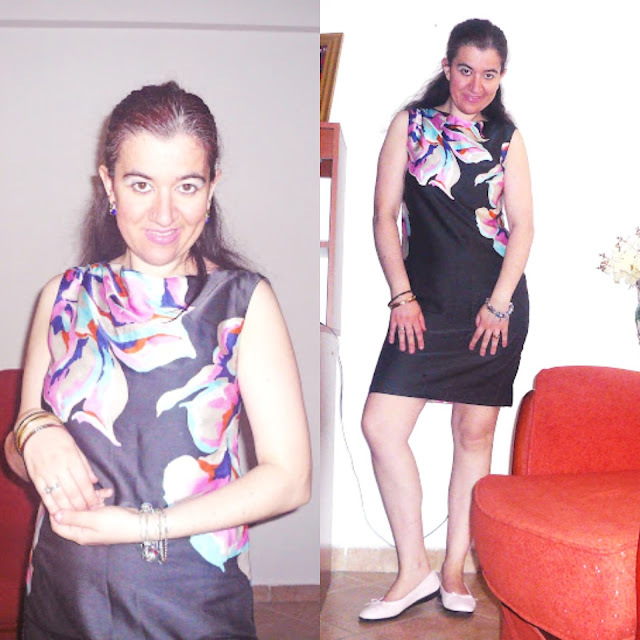 I even did my very first 30 for 30 capsule challenge in the month of April and actually the LBD styled with the Silk Silver Blazer is what I wore for Easter that year. Dress by White House Black Market. Silver Silky Blazer by Forever 21. Zebra Pencil Skirt by The Limited. Mint Tiger-Print Top by a Local Boutique in Albania. Olive Green Classic Blazer by Banana Republic. 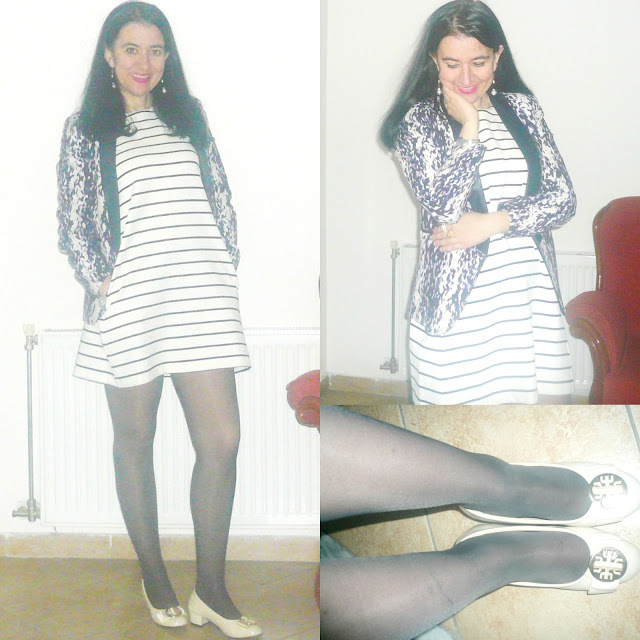 Striped Dress and Navy Watercolor Blazer by H+M. In 2015 was mostly teaching English (part time) in Albania, to 1st, 2nd, 3rd and 4th graders. I loved dressing up for my work though I didn't have to wear anything specific. The little students loved my outfits and how I always changed up my accessories. They called me "Teacher Fashionista". 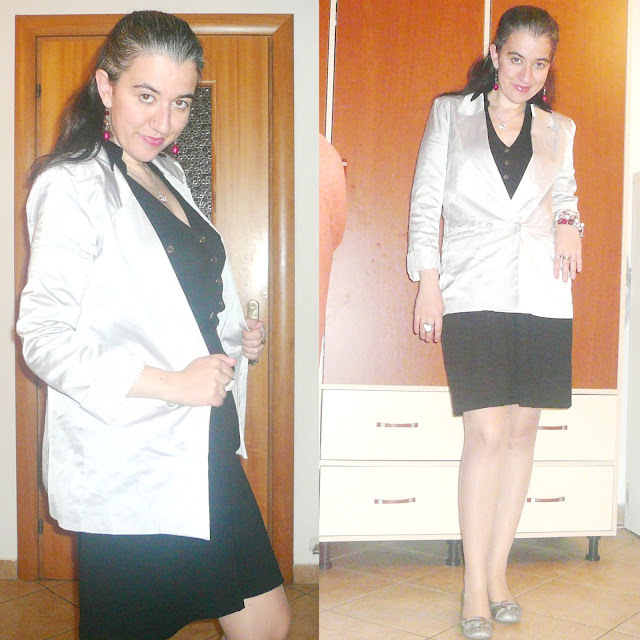 I wore some very chic looks that Spring - particularly in April and May - a lot of dresses with blazers and jackets on top. 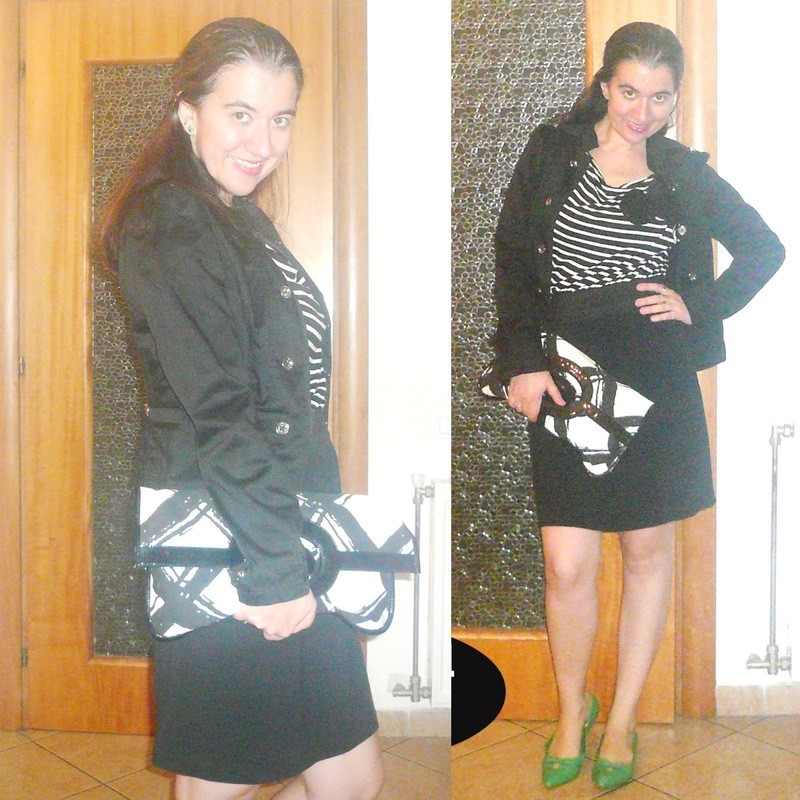 Little Black Striped Dress and Oversized Black+White Clutch by The Limited. Black Military Jacket by White House Black Market. Grey Tweed Sheath by The Limited. Hunter Green Corduroy Jacket by H+M. Turquoise Real Suede Loafers by a Local Boutique. Little White Dress with 3D Chiffon Roses by a Local Albanian Store. Lucite Studded Purse and Suede Turquoise Loafers by a Local Boutique. I hope you enjoyed this walk down memory lane today and that you liked some of these outfits. Which are your favorite 2-3 looks?! What will you be wearing this Easter? !